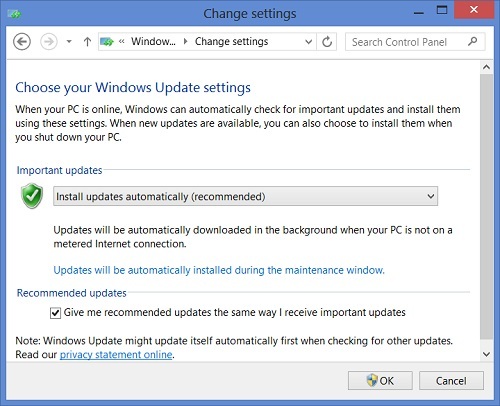 This section provides a tutorial example on how to review and modify Windows 8 system update settings to automatically keep your system updated with security patches. 1. Go to "Control Panel\System and Security\Windows Update" and click on "Change settings". your PC is not on a metered Internet connection. From now on, Microsoft will keep your Windows 8 system updated with security patches.